Not even one word. She didn’t know even one word in English, I didn’t know much Spanish. Teaching on the mission field is difficult. Despite the struggles though, teaching is was it. She was worth it. It was difficult, to say the least, but finally, when the words flowed from her lips; it made it worth it. The words were choppy and drawn out. You could still hear the thick Mexican accent that remained while she tried to speak a simple sentence. “Hello… My name is Maria. I want to learn to speak the English”. She said it and looked to me for some sort of approval. I slowly nodded, and a smile broke out on her face. She had a long way to go, but that was her first full sentence in English, and I was the one who had the opportunity to teach her. In a small town in Chicago called Little Village, I was teaching adults how to speak English, but it was so much more than just telling them how to pronounce simple words, I was giving them a future, without realizing it. You are able to impact people’s lives through the simplest act of teaching, as your teachers have with you. Every little action that we complete has the potential in order to leave an impact on someone’s life. This would be a great situation for a missionary to find himself or herself in. As I went through school, I’ve learned the impact that teachers can have, not only have an impact on your education but also on your life. Now going to school to be a missionary, I can only dream of the impact that could be made when a missionary takes time to help the hurting in other cultures through teaching. You see, teachers are able to have such a big impact on people. I’m sure you can think of at least one teacher that was able to change your life a little simply through their words or actions. They are also a subtle witness for Christ. Though they don’t go into countries bearing fists and screaming the Gospel, they live their lives amongst the broken and slowly help those around them to mend by presenting them with one solution: God. 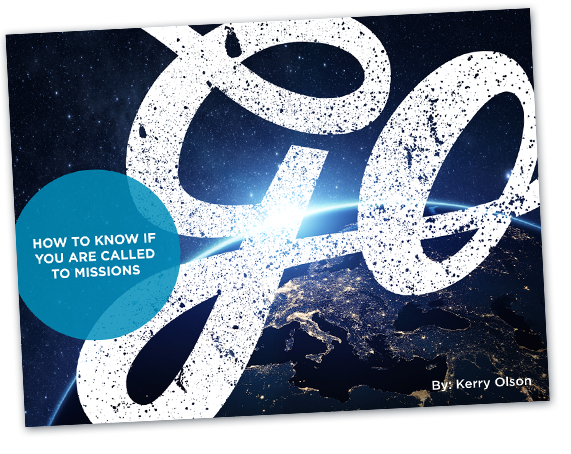 Teaching on the mission field isn’t the type of job that only one type of person can do, as there is a multitude of different ways for Christians to do so, and for Christ to use you. We live in a society where too many people forget that teaching on the mission field is far more than just another job. Teaching gives an individual the opportunity to impact lives, and mold the thought process of young minds. But teaching on the mission field allows you to show God’s love to those who may have never felt it before. However, there is an opportunity for you to bless your fellow missionaries by teaching their children. Yes, normally when you think about teaching in a foreign country, the idea is that you would teach the students of that culture. The reality is that you don’t have to do that. Instead, you can be a teacher to the other missionaries’ kids. Many teachers have come to realize that Missionary children have the potential to continue the missionary legacy, and carry on the truth to various other places. This is essential because missionary kids must have the chance in order to receive a good education. Surprisingly many missionaries refuse to go to the mission field because they are fearful about their children’s’ education. You can solve that problem by going ahead of them, willfully serving them and their kids. There are a decent amount of places that refuse to accept Christians who want to proclaim their faith and desire to share their faith. However, there is also a countless number of countries that are seeking out Christians to have them teach in their schools. Most of the administration realizes that Christians while teaching on the mission field, have a moral code that they are willing to stand for no matter what. This code, obviously, is the idea that we want to glorify God in everything we think, say, and do. In doing so, there is an idea that no matter what happens, we are going to seek to love those around us, as commanded in John 13:34: “ A new command I give you: Love one another. As I have loved you, so you must love one another”. There is a passion for those in different countries, and a love for teaching them about the truth we know in our hearts. When love and teaching on the mission field combined, it’s as if we cannot fail. You can use tools you already have in order to impact people who surround you. The fact that you are reading this article right now means that you have the ability to read English, which means, assumptively, you can speak English. That is HUGE! Most people struggle to understand the language that you were born into. God could use that in order to completely change some people’s lives. Did you know: according to Babbel about 20% of the world knows how to speak English, and that number is slowly rising. And the cool thing? People want to learn.They can’t do it by themselves, they need people to come into their lives and help them. That person can be you. You have the potential to help the people around you and to change their lives by slowly teaching them the language that you have been learning since you were young. It seems like it’s too simple, or it’s something that people don’t want to know, but English is slowly becoming the language of business. People want to know business. But that’s not the only thing that you have been blessed with. God has instilled in you certain attributes and talents that you can use to bless Him. Whether it’s singing, writing, photography, or any other gift… God has blessed you, and you can do the same to others. It’s not all about the quality of notes that the students take, or the grade they get on the test… It’s about learning. Sometimes we forget that we don’t need to be in a seat staring at a board in order to soak up information. The truth is, learning is a daily process and one that includes everyone around us. No human knows absolutely everything that they need to, for the learning process is one that is never complete. It’s a journey that lasts our whole life. There is always going to be something that the students will be able to teach you. Whether that be certain quirks of that culture or the newest slang words that are used. The world of students is a completely different world, but it’s one that we can learn a lot from. The truth is they have insight on certain topics, they have information that we don’t, they will always be able to inform us of something that we didn’t know before, and together we will be able to grow. The need is great, and we have the opportunity to share the hope of Christ through education in many countries. This is the goal for most teachers, they want to see beyond the face that is put forward, see the true person inside, and push that true individual to reach their purpose in life. That could be your call. Far too many people believe the lie that “I can’t do this”… but the truth lies in Mark 9:23, “All things are possible for those who believe”. God uses this close connection between teacher and students to enrich His kingdom and help further His glory. Maybe, you could be a part of that as well. BGU is now offering a new major, which involves you getting the ability to learn all the necessary requirements in order to successfully fulfill God’s calling in your life. We want to see teachers change the world by changing one life at a time. 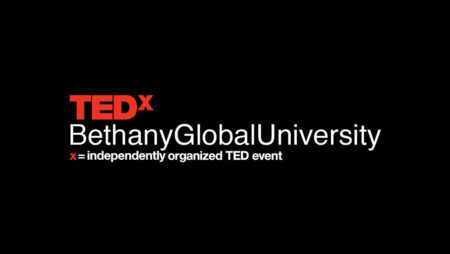 You have the opportunity in order to be a part of this. How can you learn more? By clicking here. You can embark on this journey with us, and help us to continue reaching the lost with the love of Christ. The need is great; we have the opportunity to share the hope of Christ through education in many countries and make a difference in the world.